Blink Brow Bar > Blog > Beauty > Choosing the right eyebrow shape for your face. 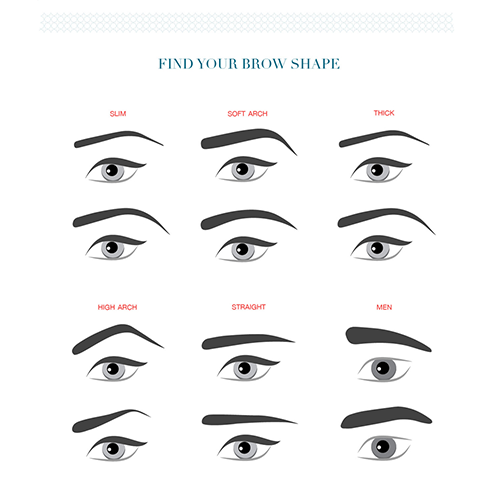 Choosing the right eyebrow shape for your face. Beauty is all about balance. There are a few tips and tricks that our experts take into consideration when consulting with you on the shape of your eyebrows. To give you the most flattering look, we need to first determine your face shape. There are 6 basic shapes we look at: Oval, Round, Long, Square, Heart & Diamond Shaped. The symmetry of your brows can actually change how your face shape looks – enhancing your best qualities and downplaying other features, helping you to look and feel your best, every day! Whatever your face shape is, we can help you get the eyebrows best suited for you! Unlock your natural beauty.